Farmin (box three) Racing in Gawler has been impacted by excessive heat predictions. PIC Greyhound Racing South Australia Facebook. 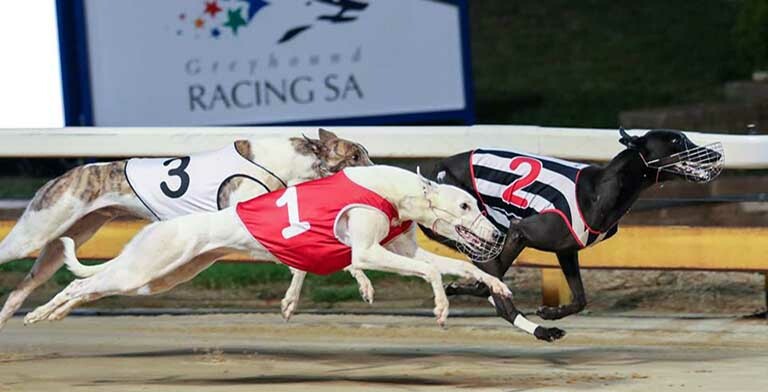 GREYHOUND Racing South Australia (GRSA) has advised all participants that next week’s meeting at Gawler has been shifted from a day to a morning meeting. The Tuesday, January 22 meeting has been moved to the morning after the Bureau of Meteorology predicted temperatures in the area will be above 40 degrees. The statement from GRSA read: “With excessive heat forecast in the Gawler region on Tuesday 22nd January 2019 the Gawler meeting scheduled for the Day time slot has been moved to the Morning slot starting at 10.04am local time with the last of 11 at 12.57pm. Kennelling times will be 8.45am to 9.30am. GRSA also advised that all race nominations extended until 9am Friday.